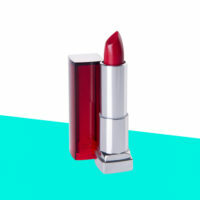 Did Lipstick Give a California Woman Herpes? In one of the stranger lawsuits being filed in recent memory, a California woman filed a lawsuit suit against Sephora for a lipstick sample that she claims gave her herpes. The lawsuit alleges that the woman in question sampled lipstick at a Sephora store in 2015. She was later diagnosed with herpes. These, she says, stem from the fact that she now has an incurable lifelong affliction. In a case like this, the difficulty for an injured party would be proving that Sephora’s lipstick was the original cause of the infection. However, many health officials have warned about the dangers of public lipstick samplers. A number of infections can be spread this way, and oral herpes is among them. The woman, who is suing for $25,000, claims she wants to inform others about the dangers of sampling lipstick in this way. The lawsuit alleges that Sephora encourages the use of common lipstick. In addition, there certainly appear to be a number of very simple solutions that would improve the customer experience and reduce health risks associated with common lipstick. Sephora was unwilling to comment on the ongoing litigation but said that their customer’s safety was a priority at all of their stores. All personal injury lawsuits boil down to liability and negligence. Here, it’s very clear what the damages are. A jury must decide if the plaintiff can prove that Sephora is to blame for her injuries. In a civil case such as this one, the burden of proof is still on the plaintiff, but the standard of proof is lower than it would be in a criminal case. The plaintiff must show by a preponderance of the evidence that Sephora’s lipstick is where she contracted herpes. In other words, she must be able to prove to a jury that it is more likely than not that Sephora’s lipstick was to blame for the infection. Circumstantial evidence in a case such as this can prove remarkably valuable. For instance, if the plaintiff can show via medical records that she did not have oral herpes prior to the date she walked into Sephora, but afterward began showing signs of oral herpes, a jury might be convinced that Sephora is more likely than not the cause of her infection. In addition, their policy of allowing customers to sample their lipstick in an unsafe manner would then be considered the primary reason for the plaintiff’s damages. This would likely lead to a decision in favor of the plaintiff, and major policy changes within the retail chain. Has a Careless Store Policy Resulted in an Injury to You? If so, then you may be entitled to damages. Contact the dedicated Miami personal injury attorneys at the office of Alan Goldfarb, P.A. for help. We’ll ensure that you’re justly compensated for your injuries.